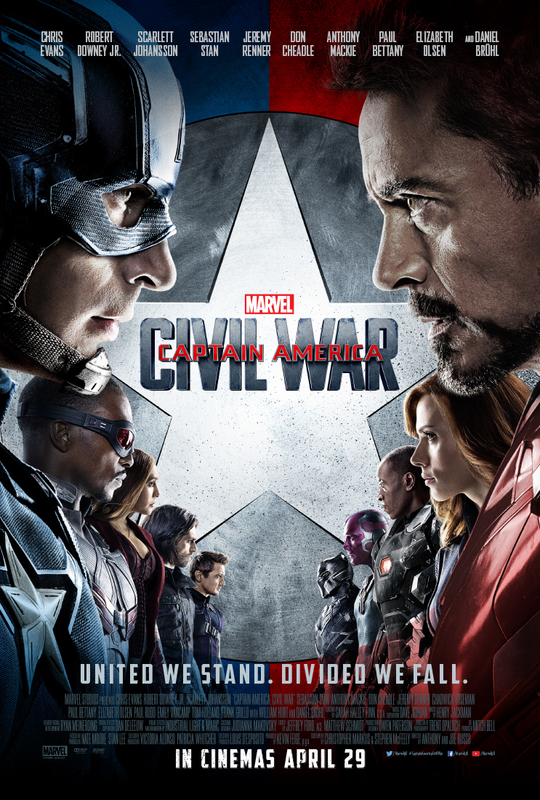 The third installment in Marvel’s Captain America franchise, Civil War, pits our superheroes against each other. Will our host be on different teams when reviewing this movie? We keep it spoiler free until our spoiler warning towards the end of the show. We also talk about the new Dr. Strange trailer and make some comparisions with Batman V Superman Dawn Of Justice which seems to have dealt with some similar topics. Captain America: Civil War hits UK theaters tomorrow, Friday April 29! Or subscribe to our iTunes feed and never miss a show! AntMan oh AntMan! Upodcasting has been looking forward to this one for so long now that the sense of anticlimax was a real and present danger. It proved to be unfounded in the final analysis but the possible overexposure through trailer had me a bit rattled. But first a bit of background. AntMan is seemingly an odd choice given the range of characters within the Marvel Charcater Universe (MCU) and a typical reaction from friends has been: AntMan, why? Can’t they pick a better superhero? Or even, AntMan, who’s he? The latter certainly being my reaction upon learning it would be the latest addition. AntMan has also had a colourful and somewhat long lead in with initial director and writer Edgar Wright denying all involvement for ages only to come clean and then write what has been described as the best superhero script ever (Joss Whedon) before finally he and cowriter Joe Cornish fell foul of presumably internal politics and studio machinations. We can only ponder. So what remains? Peyton Reed with a strong history of RomComs behind him wasn’t an obvious choice as replacement director, but nonetheless has delivered on the promise shown by the Brits. Is this due to the somewhat standardised look of Marvel films these days? Quite possibly – and maybe whomever could have stood in would benefit from this. Minor quibbles over the director aside, the casting is inspired: Michael Douglas a perfect Hank Pim and showing some real thirst for a left field role given his prior – it just seems to fit, rolling an air of a once successful superhero, scientist and businessman all into one. Corey Stoll (House of Cards) likewise is a great baddie, although I would have preferred to know more about what has made him so obsessed and ever so slightly deranged. This raises another point regarding Marvel at the moment, namely their seeming insistence on the non-aware audience members simply accepting, without explanation a few key things. In this instance, the Pim particle, in others, the Infinity Stones or Vibranium. Are they genuinely important or should we just let them wash over us, McGuffin style, in the expectation that there will be some kind of explanation or that the story will outweigh the “whaaaat is this?”. Back to the strong suits though and up there with some of the best casting ever, is Paul Rudd as the eponymous hero. Taking all the humour, charm and pathos from and number of roles he is on top, top form here. Indiana Jones can only ever be played by Harrison Ford and likewise AntMan MUST now only ever be played by Paul Rudd. End of. What he is able to do is take a pretty weak superhero (what? You’re an ant?!) and make it rock. Whilst the movie does take a while to warm up, once it hits its stride it becomes unstoppable. It is certainly on the lighter side of the MCU but this is something I welcome wholeheartedly. The trick they’ve pulled off here is to reverse the trend to the big – big explosions, big CGI, big super heroes and turn it on its head. Small truly is beautiful and it’s a delight after Age of Ultron or even Mad Max for example, to see how powerful in the figurative and literal sense, the impact of tiny beings can be. 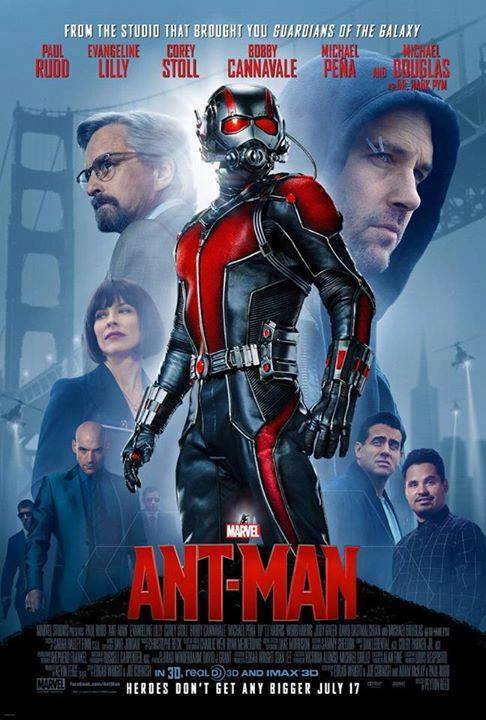 For those who aren’t into the comics or struggle to keep pace with the wider MCU AntMan is perfect – light along the lines of Guardians of the Galaxy but also pretty much standalone as you do not need to know about Hydra, or Thanos or numerous other properties. In fact those other properties are more or less mocked: Hank Pim’s disdain for “Iron Man” and his broken relationship with Howard Stark. Whilst not my absolute favourite of the Marvels so far, this is however a superb addition and once you have this origins story under your belt, you will be wanting more. At Upod we have surprisingly declared this unanimously our 4th favourite Marvel but we do differ on the order of the first three. Put it this way, I will recommend my parents watch this, but I’d not have said the same about any others apart from perhaps Guardians of the Galaxy. Watch it, get stuck in, enjoy the tiny little ride for all its powerful punches and try to tell me you don’t want more. A cracking way to kickoff the summer season of blockbusters…a thrilling antiblockbuster bar none. Ant Man is currently in UK theaters.